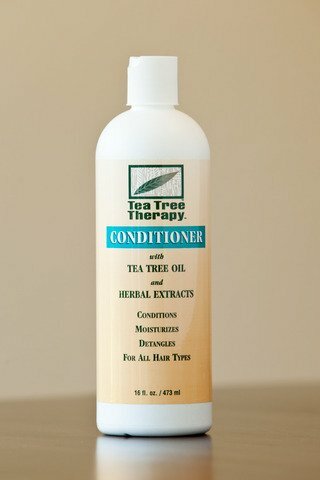 Tea Tree Therapy Conditioner with Tea Tree Oil and herbal extracts conditions the hair and scalp by helping to capture natural oils and moisture to leave the hair silky and smooth and tangle free. The natural conditioning agent repairs and protects leaving the hair shiny and more manageable. No Sodium Lauryl Sulfate.